Nobody likes being “in the dark.” The mind can play terrible games when you find yourself operating in a communication vacuum; indeed, the most carefully laid plans can be undermined by poor communication. The feeling of anxiety brought on by an emergency or a rapidly changing environment is what fighter pilots refer to as “tumbleweed.” Picture a tumbleweed blowing aimlessly, at the mercy of the wind. When you are tumbleweed in a jet fighter, that’s exactly how you feel. Adrift with no situational awareness, you are of no value to the mission or the team! Going “dark” and not knowing exactly what is happening can reduce even a seasoned combat pilot to a powerless, ineffective second-guesser and wreak havoc on your mission—in combat and in business. The opposite of being in the dark is having high situational awareness, or “SA” as we call it in the fighter pilot world. SA is the lifeblood of a mission, and it’s a by-product of knowing where you and your wingmen are, where you’re going, and all the variables that can affect the mission (fuel, location of enemy, terrain, etc). When your SA is high, you can adapt to changes quickly and maintain mission effectiveness. Without it, you’re useless. Good communication is the key to building high SA. More often than not, it has to be planned. The problem is that most organizations have terrible communication plans—or none at all. In the fog and chaos of combat, when the unexpected happens and the stress level is high, communication can suffer. As a result, mission-critical items may be missed. Preparing for the unexpected through a contingency plan and providing a mission briefing to your team well in advance of the mission can minimize chaos and doubt and keeps the entire formation focused on the task at hand. The mission briefing establishes standards of performance so that everyone knows what is expected of each team member. It sets the tone for everything that follows and ultimately builds the situational awareness necessary to win. If the briefing is rushed or sloppy, guess what? The mission will be rushed and sloppy! But if the briefing is crisp, detailed, and well-coordinated, that’s likely how the mission will go. 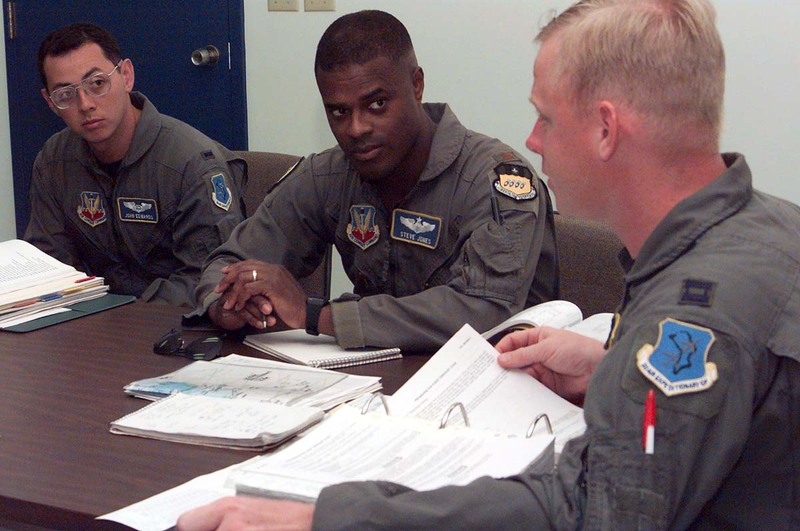 Do you and your wingmen brief a plan to succeed when launching a project, tackling a sale, or planning a meeting? Have you created an easily understood “lost comm” procedure to handle potential problems? And, most important, do you have full buy-in from your wingmen and are they committed to the mission’s success? Wingmen Never Wing it. Set a plan, brief your mission, and get buy in from your team. I guarantee if you do, you’ll promote high situational awareness and hit the target!